According to a new study by Pew Research, ownership of tablet and e-book devices doubled over the holidays, now with one in four American homes. Given the popularity of the iPhone (and touchscreens in general) with young kids, no doubt new iPads, Kindle Fire and NOOK devices are purchased with them in mind. And though the experience of reading a novel on all three might be similar, kids content that relies on images and sound varies wildly on these devices. Here’s how they stack up. Because the Fire has a color screen, it’s the first time an Amazon device can do picture books. Amazon does have a huge selection of children’s e-books, but many aren't optimized for this latest Kindle. The formatting can be poor and inconsistent, with no option to zoom and pinch, or even to hear the story read aloud. 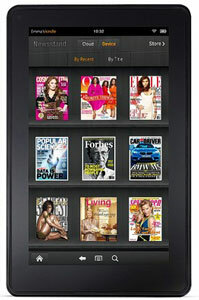 At very least, make sure books you purchase are designed especially for the Kindle Fire. At the moment, none of the kids' books available through Amazon include the interactivity included on e-books sold via iBooks or Barnes & Noble. B&N carries over 300 e-books for kids. They’re clearly taking the kids market seriously and are selective about what books they sell and the features included within. For instance, the latest Barnes & Noble device is the only one out there with the cool, "Read and Record" feature that lets you record your own voice narration to your children's books. As a bonus, NOOK also plays interactive games. There’s no contest. The big, bright screen on iPad is best for picture books. But not everyone can manage the iPad's big, fat price tag. You can usually view two pages at once, and many titles have the “enhanced” read-along narration and other bits of interactivity. 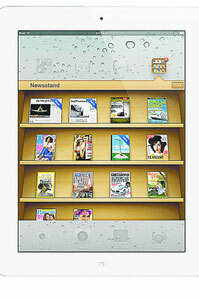 The iBook store, however, lacks the selection of B&N and Amazon. Best bet if you own an iPad? 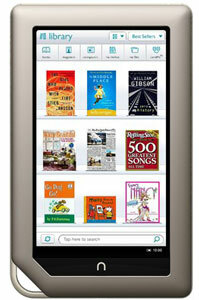 Download the NOOK and Kindle apps (they’re free) and access their catalogs. There are other tablets...and some actually work! As a librarian, I can say that there are other tablets…many of which work well for less money. The key is actually trying them, touching them, and learning what they can do before you buy. I don’t think my daughter needs a $200 tool when she’s 4 to enjoy the content our public library provides through OverDrive. Agree than none of these devices should be purchased for a small child. But if you’re getting something that kids can enjoy too, there are some that work better than others. And really, none compare to real books read by actual parents.